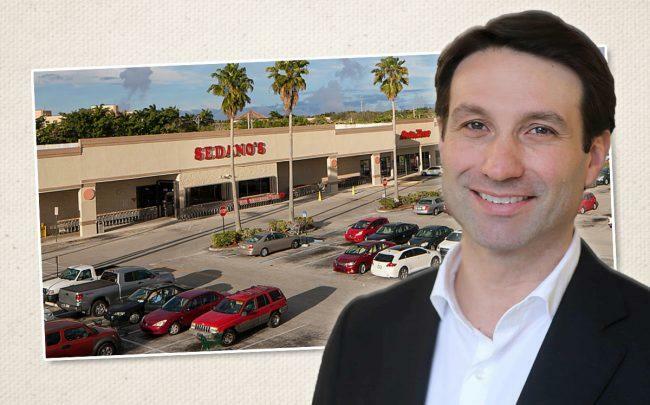 Longpoint Realty Partners paid $37.53 million for a Sedano’s-anchored shopping center in Pembroke Pines, as it boosts its retail investments in South Florida. Sterling Organization, a West Palm Beach-based private equity real estate investment firm, sold the 158,463-square-foot Pembroke Place at 10101 Pines Boulevard for $237 per square foot. Casey Rosen and Dennis Carson of CBRE represented Sterling in the sale. The shopping center is 99 percent leased, with tenants including Crunch Fitness and Vargas University, in addition to the grocery store Sedano’s, according to a release. Sterling acquired Pembroke Place in November 2008. At that time, the property included a Kmart, which was subleased to Renaissance Charter Schools in 2014. The charter school company purchased the building in November for $10.5 million. Sterling owns and operates 51 properties across the country, according to the release. Boston-based Longpoint Realty Partners has been expanding in South Florida. The firm paid $21.2 million for a strip mall within the Crossroads Square Shopping Center in Pembroke Pines in November. In June, Longpoint bought a Publix-anchored shopping center in Boynton Beach for $9.9 million. And in late 2017, Longpoint paid $5.8 million for a warehouse in Doral. The firm focuses on industrial and retail properties in major East Coast, Texas, Tennessee and Georgia markets, according to its website.